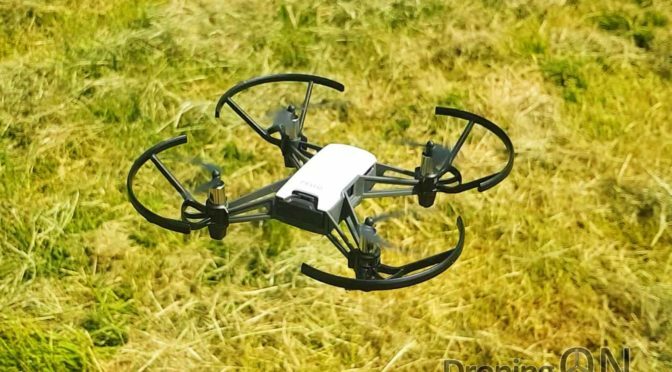 Shot of the Tello hovering, also showing the live stream direct from the drone to the smart device, streaming in 720p resolution. 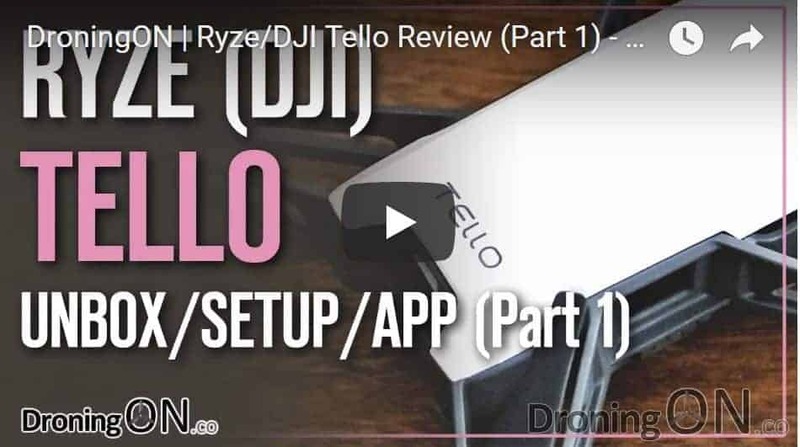 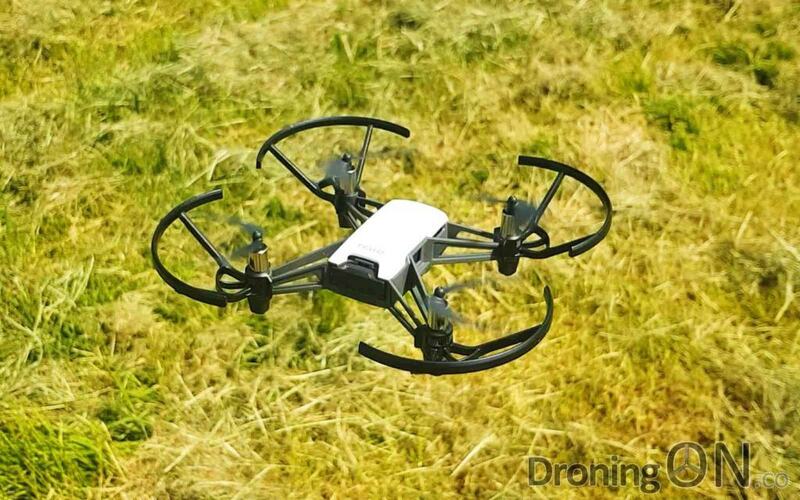 Priced at only $100/£100, the Ryze Tello is the cheapest drone that DJI have retailed so far. 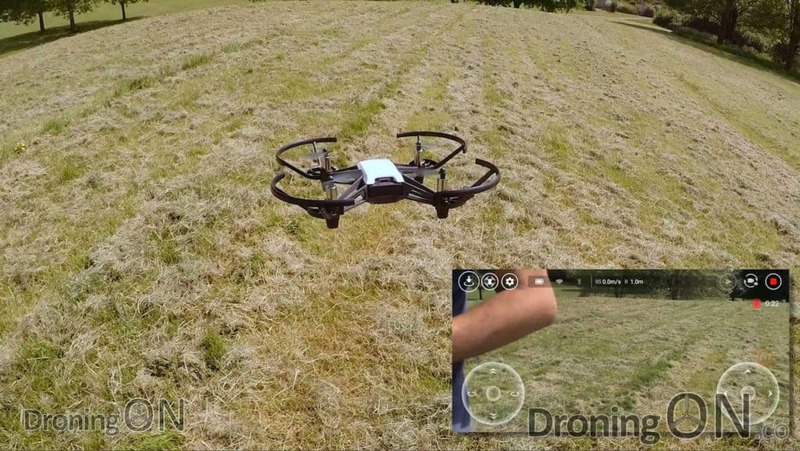 It doesn’t have the regular GPS feature-set common to most DJI autonomous quadcopters (Mavic, Phantom, etc), nor a high resolution camera, but it does have an impressive optical flow implementation which keeps this tiny brushed drone in position, even with your hands off the controls, the 720p live stream is also satisfactory. 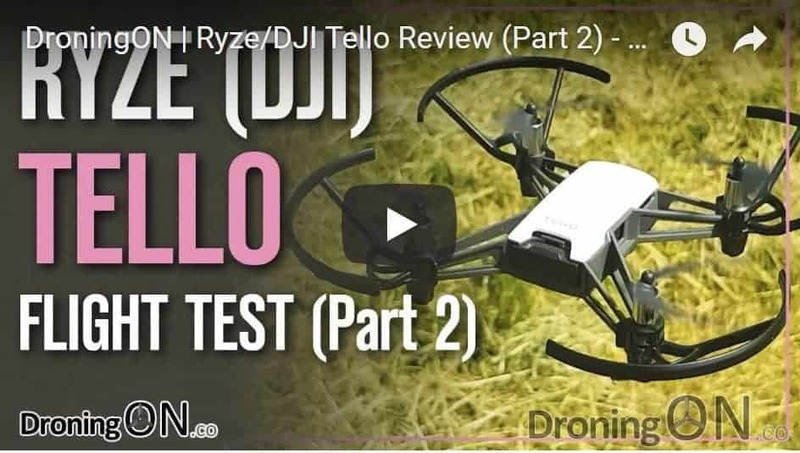 Previous PostDYS ELF 83mm Brushless Micro Review, Unboxing and Flight Test (LOS & FPV)Next PostPure FPV Flying With The 3″ FuriBee X140 on 4s!